Convertible computers have gained in popularity with consumers by offering multiple ways to use a single device. Most such PCs, however, only offer a couple of ways to use the system. Now Toshiba has upped the ante with a concept that can be used five different ways. The device is a standard laptop at heart, but unlike most, it completely tosses the touchpad in favor of a tracking ball, and pushes the keyboard to the forward edge of the display. The keys extend about halfway to the display before terminating at a dock, which means the keyboard can be removed entirely. Besides the tablet and display modes already offered by competitors, Toshiba’s 5-in-1 can act like an all-in-one or a table-top PC. When used in this way, the keyboard becomes wireless and can sit on a desk or in your lap. 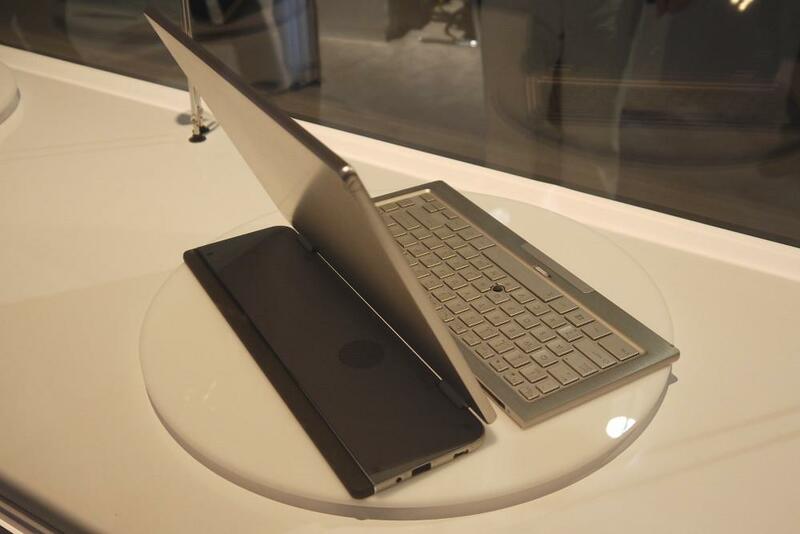 In total, the 5-in-1 is really four different devices; a laptop, a tablet, an all-in-one, and a tabletop computer. The lower portion of the display hinge also acts as a stand while in tablet mode. A stylus that could be used to create digital art, write text, or navigate Windows further enhances versatility. 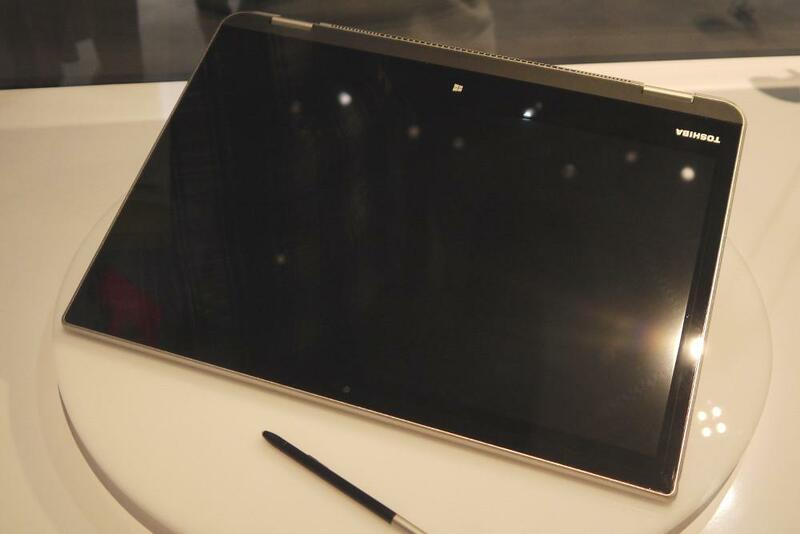 This is only a concept, so Toshiba has no information to provide about specifications, release date, or pricing. The rep we spoke to said she hopes it would have a Core i7, and it would likely be an expensive premium ultra book if it ever hit store shelves, but this information is mostly speculation. The company wants to see how people react to this unique PC before moving forward. Our impression? It could be awesome. We’re already fans of the Acer Aspire R7, which pushes back the touchpad to make touchscreen use more convenient. Toshiba’s idea goes even further in pursuit of touch perfection, and we hope to see it as an upcoming retail product at next year’s show.